Anheuser-Busch InBev (NYSE: BUD), a multinational drink and brewing holdings company, announced its fourth quarter 2018 results on February 28, 2019, followed by a conference call with analysts. The company met consensus estimates on revenue but missed the earnings target. BUD reported revenue of $14.25 billion in Q4 2018, 2.4% lower than $14.6 billion in Q4 2017. 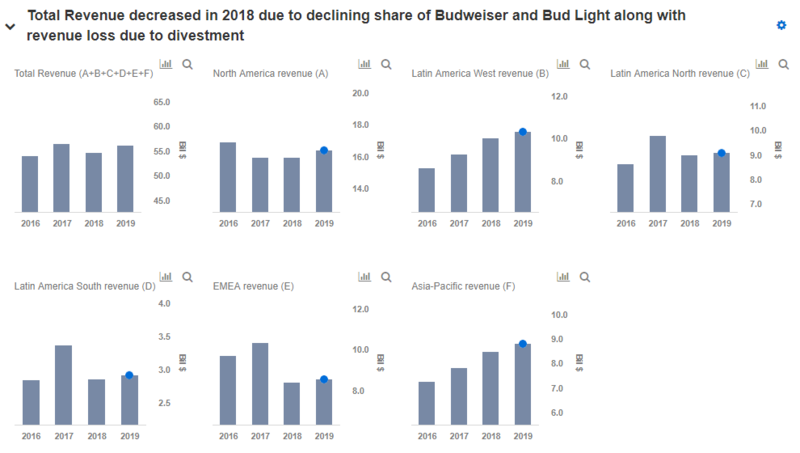 Lower revenue was mainly due to decreasing beer sales and a fall in market share of its flagship brands – Budweiser lost 35 basis points of market share, while Bud Light lost 85 basis points of share. The company reported normalized earnings of $0.80 per share in Q4 2018, 23.1% lower than $1.04 per share in the year-ago period. The decrease in earnings was primarily driven by a stronger dollar, losses in derivatives, and lower revenues. For the full year, revenue declined by 3.2% to $54.6 billion on the back of sluggish growth in the US and loss of revenue in EMEA due to divestment, partially offset by strong growth in China, coupled with synergy and productivity savings. 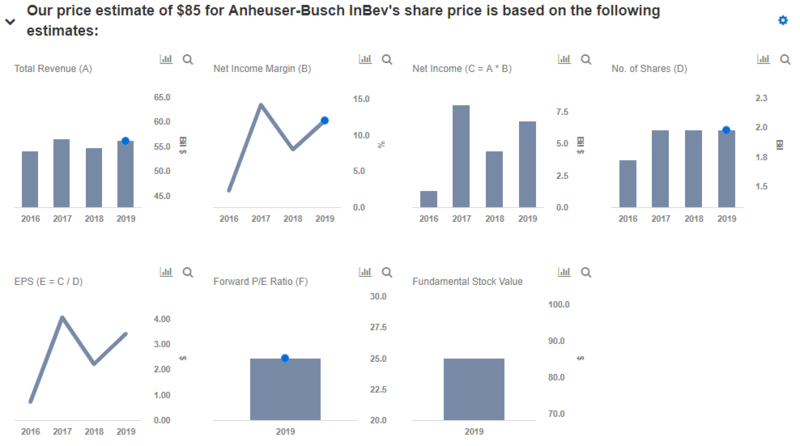 We have summarized the key takeaways from the company’s Q4 2018 results in our interactive dashboard – How Did Anheuser-Busch InBev Fare In 2018 As Budweiser Loses Market Share And What Is The Outlook For 2019? In addition, here is more Consumer Staples data. Sluggish growth in the US and sharp decline in EMEA: Though the company saw revenues grow in most of its segment, sales remained flat in the U.S. at $15.9 billion, as declining beer sales and higher marketing expenses adversely affected the overall performance. However, the EMEA region proved to be the biggest drag on total revenues, with revenues from the region declining by 19% to $8.4 billion in 2018 compared to $10.3 billion in 2017. The sharp drop in revenue from EMEA reflected the loss of volume and revenue due to the sale of SABMiller’s certain premium European brands including the Peroni and Grolsch brands, and related businesses to the Asahi Group, for regulatory reasons. Additionally, the reason for falling beer sales in the US and Europe is changing consumer preferences, health consciousness, and increased awareness, which has shifted consumers to healthier drinking options such as wine and drinks like sparkling water. This industry trend is pushing most of the beer companies to diversify and include newer drinks or innovate the beer range by lowering the alcohol content. BUD has also made efforts to tweak its portfolio in line with these trends and its no-and low-alcohol portfolio of brands now accounts for 8 percent of the company’s worldwide volume, with the company being on track to increase this share to 20% of its beer volume by 2025. We expect revenues from the US and EMEA to increase in 2019 on the back of increased premiumization. FIFA sponsorship: BUD benefited immensely with Budweiser being the global beer sponsor of the FIFA World Cup 2018 held in Russia, which catered to an audience of approximately 3.2 billion. Its biggest commercial campaign called “Light Up the FIFA World Cup” was activated in more than 50 countries, which included not only those where the brand already has a significant presence such as China, Brazil, the U.K., and Russia, but also new markets like Colombia, Peru, Ecuador, Australia, and Africa. This event provided a further boost to the company’s three global brands – Budweiser, Corona, and Stella Artois. The revenue for these brands which the company owns outside the US, increased by over 9% in 2018, with them contributing about 20% to BUD’s total revenues, mainly benefiting from the FIFA sponsorship. We expect demand growth along with higher premiums to drive sales for these brands in 2019 and beyond. Strong Dynamics in China: Revenue from the Asia-Pacific segment grew by 8.5% to $8.5 billion in 2018, from $7.8 billion in 2017. This growth was mainly driven by improving performance in China. Revenue from China increased by 8.3% in 2018 with premiumization driving revenue per hectoliter growth of 5.6% and supported by volume growth of 2.5%. FY 2018 saw Budweiser sales increasing by mid-single-digits supported by a more balanced growth profile benefiting from increased penetration in more regions of China, and premiumization efforts which expanded beyond the music platform (such as “What’s Brewing”) into fashion and broader lifestyle platforms (trends such as #SelfieWithBud and #TheBudRitual). Additionally, BUD’s business in the e-commerce channel continues to be a relevant contributor to growth, as this channel is of increasing importance to the Chinese consumer, especially for premium products. Profitability: Net income margin witnessed a sharp drop from 14.2% in 2017 to 8% in 2018. The decline in margin was primarily due to currency headwinds. A stronger dollar vis-à-vis other currencies led to huge mark-to-market losses on derivative instruments. Additionally, advertising and marketing expenses increased significantly in the first half of the year, due to the FIFA World Cup, which led to an increase in SG&A expense in 2018. However, BUD continued to reap benefits from synergies achieved from the acquisition of SABMiller. In 2018, the company achieved total synergies and cost-savings of $805 million, thus taking the total synergies achieved to $2.9 billion till date. We believe that the company will continue to achieve cost-reduction as the total synergy guidance remains at $3.2 billion by the end of 2019. Cost savings and productivity gains, coupled with a fairly stable dollar rate, would likely lead to an improvement in margins in 2019. Where Is The Stock Headed? BUD’s stock price has witnessed a decline of over 30% in the last one year, driven by management’s decision of halving its dividend pay-out to 1.80 euro per share in 2018 from $3.60 euro per share in 2017, in order to accelerate deleveraging toward its optimal capital structure with a net debt to EBITDA ratio of around 2x. The adverse effect of lower dividends was exacerbated by decreasing beer sales and contracting margins over the last couple of quarters. However, BUD’s investors today seem to be more concerned about paring of its large debt burden along with ensuring organic growth, both of which would drive profitability going forward. This is evident from the 5% jump in the stock price as soon as FY 2018 results were declared, mainly driven by a focus on deleveraging in spite of missing the earnings target. BUD has announced $15.5 billion of bond issuance in February 2019 in order to pay-off its existing higher-interest debt. Along with focusing on the bottom line, BUD is planning to double the sales of its premium brands in the near future as sales of iconic brands such as Bud Light and Budweiser continue to slip, which would contribute toward top line growth. 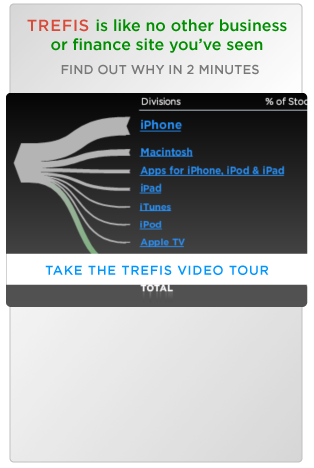 Thus, we believe that the stock price still has some upside potential from its current level, driven by growing sales in emerging markets, the non-cyclical nature of the business, synergies and productivity savings achieved due to acquisition, the focus on lowering debt which would in turn translate into better margins, and modest shareholder returns which are expected to grow over time. We have a price estimate of $85 per share for Anheuser-Busch InBev’s share price, which is higher than its current market price.